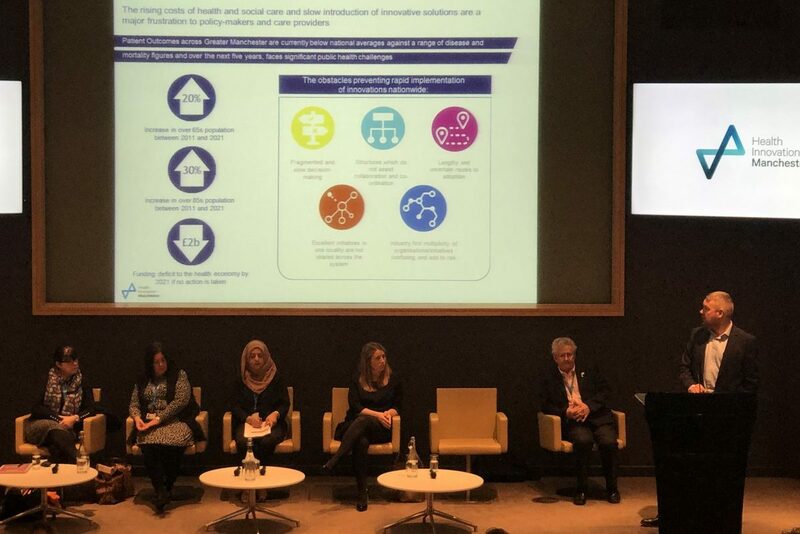 More than 50 businesses and SMEs had the chance to put their burning procurement questions to a panel of experts from across the NHS and public sector at the 2019 Ask the Buyer event. 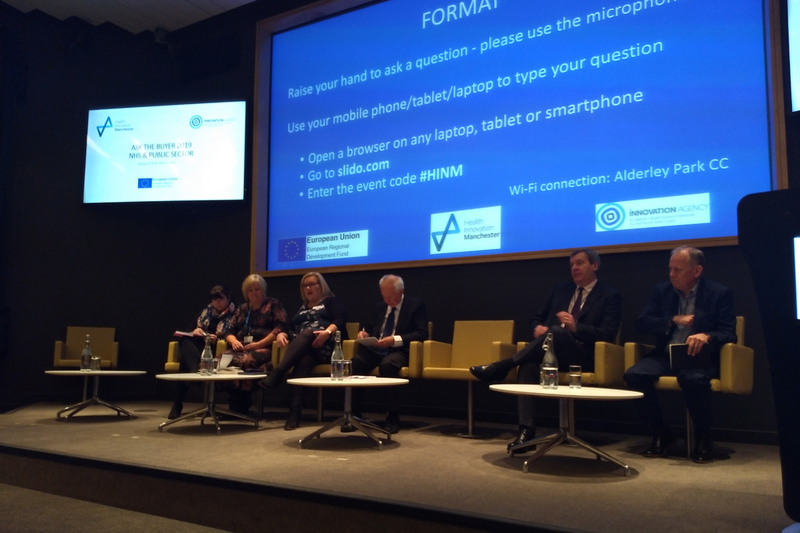 On 23 January, delegates gathered at Alderley Park Conference Centre, in Alderley Edge, for a morning of discussions and a Q&A session focused on how businesses can help their innovations get through the procurement process. The event was opened by Daniel Zamora, Commercial Programme Manager at Health Innovation Manchester, and The Worshipful Mayor of the Borough of Cheshire East, Councillor Lesley Smetham. 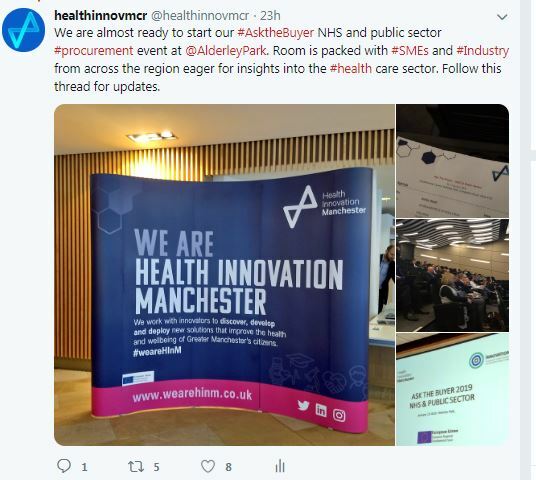 Ben Bridgewater, Health Innovation Manchester’s Chief Executive, spoke to delegates about how HInM is driving industry-led innovation in the health and care sector in Greater Manchester and beyond. 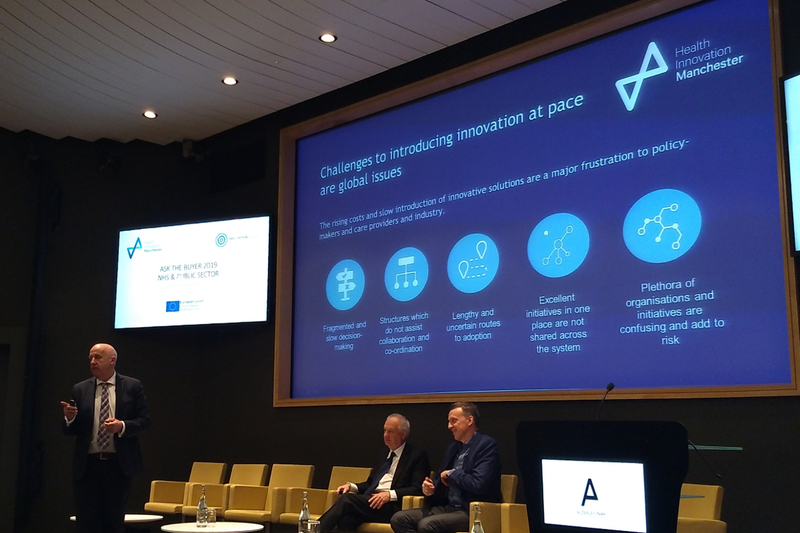 This included a discussion of how HInM aims to be innovative, collaborative and agile in the approach to industry innovation and how Manchester is well-placed to become a world-leading life sciences cluster. Colin Cram, who worked in the public sector for more than 40 years and set up several centralised procurement and contracting organisations, offered his expertise including 10 recommendations to help innovations and SMEs gain access to the system. Nick Allen, HInM’s Industry Procurement Adviser, explained how SMEs can structure a value proposition by identifying the cost of the problem, the cost of an innovative solution and how it aligns with local needs. The panel offered advice about engaging with procurement early in the innovation process, having a conversation with the market and addressing the value proposition of an idea or innovation. Daniel Zamora, HInM’s Commercial Programme Manager, said: “The event was very well attended and our audience posed some interesting and challenging questions to our panel resulting in interesting debates. “Thank you to our speakers and panel members for attending and offering their insights to our audience. Businesses can put their questions to NHS Buyers and Local Authorities in the North West. New funding opportunities within the 2018-19 Innovation Fund now open, with a total of £300,000 available.